The clock in my bedroom has been standing still at 11.49 (am or pm you chose) for several weeks now. I look at it every morning and make a mental note to change the battery. Ever night I climb into bed look at the clock and remember I haven’t done it. I just didn’t have time again. As I close my eyes I doze off wishing time would stand still for everyone except me. Then maybe, just maybe, I could get on top of my jobs. Before I had the monkeys, I thought I didn’t have enough time. Now that I do have them I actually have no time. The word “time” is used daily in the monkey house. “We don’t have time for this”; “now is not the time to have a poo”; “we are running out of time before school”; “mummy just needs a little bit of time to do this”. I day dream about “free time” and “bed time”. My days are pigeon holed into slots of time. Breakfast lunch and dinner time, School runs, activities. Child focused, husband focused and ground hog day, home up keeping task focused slots of time. It is a commodity to be negotiated and traded. “If you put on your own shoes you can have 5 extra minutes of screen time after dinner”. Life is like one of those cheap plastic puzzles you get in Christmas crackers. A square with little square tiles within it. I’m sliding the squares about making a time slot in different places. Always searching for the perfect picture to emerge. It never does and there is still always a square missing. Maybe that’s the point. Is there any point stressing over finding the perfect puzzle? Take your time and you will reach your goal. It may not be perfection but at least it isn’t the jumbled up mess from before. Where the plastic tiles get jammed because you are frantically switching them backwards and forwards. Life has given us the impression that we should have things now. Things, abilities and experiences. I am all for living in the moment but sometimes we have to accept that we can’t have it all right now. Besides I want to appreciate the right now. Take the running. I know I am capable of completing a 10k run. I could also do a half and full marathon if I wanted to. The thing is that right now, I don’t want to. If I had lots of time to train, it might be different but really I want to divide my time up between me, Mr LMR and my babies. When I set my challenges I chose 5k as a manageable distance. The challenge isn’t the distance it is the motivation to keep going for 12 months. To build on the challenge month by month. It is sometimes a difficult concept to accept in this time of instant results. Look at parent focused TV. The likes of Jo Frost and the Three Day Nanny would have us believe you can change behaviour in a matter of days. Careful thought and preparation, not to mention the curiosity towards a film crew in your living room, might start the ball rolling. Set the foundation for improvement but don’t be fooled into thinking that once the celebrity nanny has packed up her Mary Poppins carpet bag and gone home that your life will be plain sailing from then on. You might have fresh perspective and a few more tools of your own to push on with confidence but there is no magic wand unfortunately. The featured picture is my garden and specifically a newly seeded area at the side of my upcycled outdoor area. Our house is a renovation. All of our time and money is spent indoors. Little bits of time and effort have been spent outside but it has been a mamoth task just to get here. What you can see is a brick border marked out waiting to be put in the ground. 37 bricks in total. Less than a days work if I had the time. I don’t. my choices. Look at this project all summer wishing I had the time or break the task down into manageable sections? The other day I put on my wellies took out my trowel and kneel mat and buried one brick. I checked the distance from the fence with my tape measure and stood back to admire it. It took 10 minutes. If I found 10 minutes every day I could complete the job in 36 days, just over a month. Frustrating and slow, but achievable. Any kind of change or progress takes time. 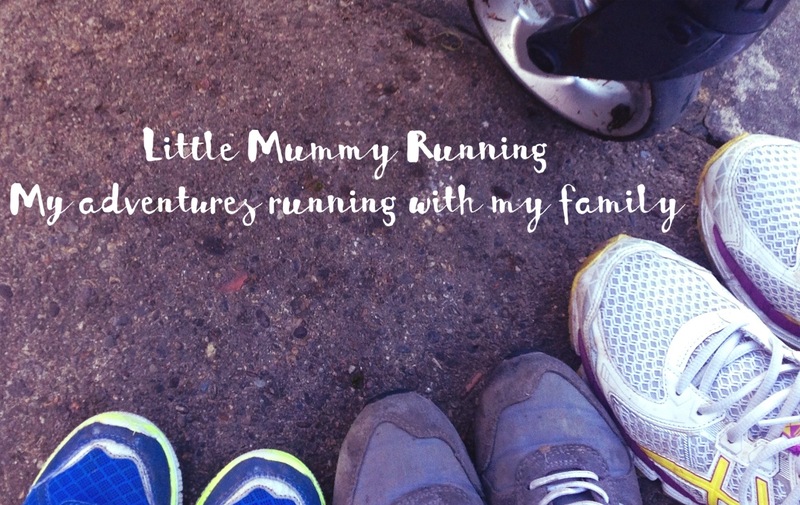 Parenting, running or garden transformation. Take a deep breath, let go of the frustrations and make an achievable plan to move forward. It can be done. It just takes a little time. Now where are those spare batteries? My clock needs restarting. Great post. I love the analogy of the sliding puzzle.